Tags: Classic motorcycle appraisal, Vintage motorcycle appraisal, Motorcycle appraisal. Ural parts for sale. 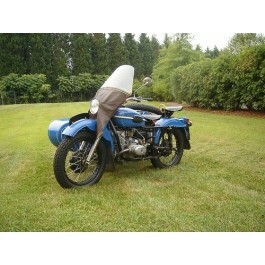 Ural motorcycle parts for sale. Click on the Buy Now button to pay for your vintage or classic motorcycle appraisal. April 23, 1952: Pan American World Airways inaugurates its "Rainbow" tourist class service across the North Atlantic, using DC-6 a/c, by landing 95 passengers at Shannon, Ireland - the largest number of commercial passengers to fly across the Atlantic in an airliner to date.